Don Pardo, the legendary NBC announcer who was the voice for “Saturday Night Live,” has died at age 96, his daughter confirmed. Pardo, who was with “S.N.L.” from the show’s first episode in 1975, remained the announcer of the show through its most recent season. 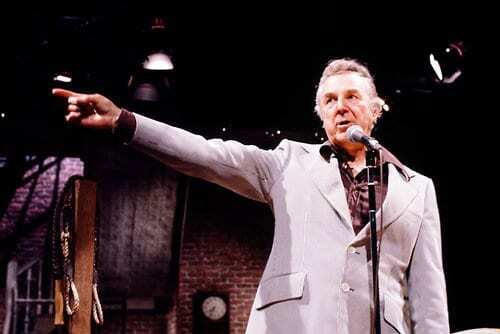 Photo: Don Pardo on the set of “Saturday Night Live” in 1979. He served as the show’s announcer for all but one of its 39 seasons. This entry was posted on August 19th 2014 at 7:25am/07:25 and is filed under Entertainment, Live News Column 1. You can follow any responses to this entry through the RSS 2.0 feed.